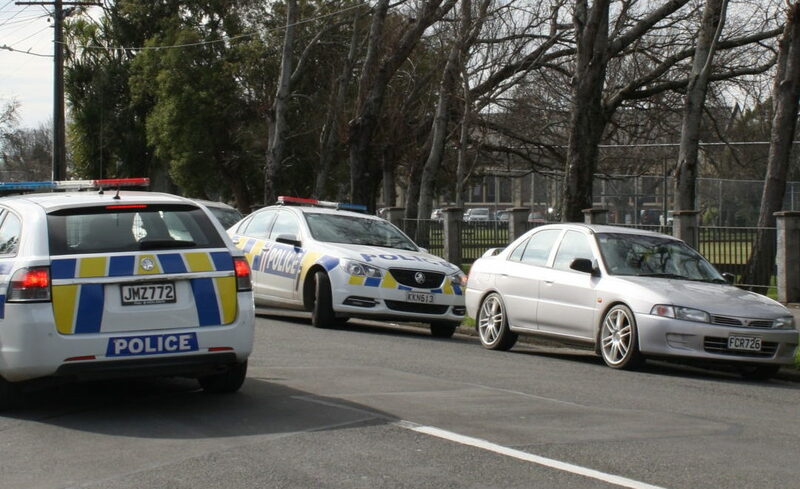 Wairarapa College went into lockdown on Wednesday morning after a man breaking into a car outside the school threatened a member of the public with a screwdriver. 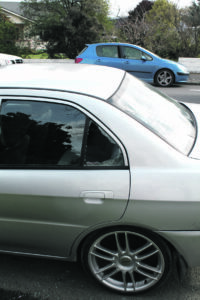 Police said the incident started around 10.15am when the would-be thief realised he was being watched by school students while smashing a car window on Pownall St.
A passing driver pulled over and was threatened with a red-handled screwdriver. The offender then ran off. It was initially thought he had headed into the college grounds, which triggered the lockdown. Rumours quickly circulated throughout Masterton, with pupils texting parents, including a message that “men were pacing the corridor with axes”. Principal Shelley Power was in a meeting when she got a call from Wellington Central Police telling her that the school needed to go into lockdown as there might be an armed offender with “some kind of weapon” on the school grounds. A bell switch with a setting for a lockdown signal was flicked. Senior Sergeant Barry Bysouth said the lockdown was lifted when police confirmed there was no risk to students shortly after 11am. “The response by the school was excellent and I commend them for acting quickly to report the initial incident and take preventive action to keep everyone safe,” he said. Bysouth said it was unfortunate that rumours circulated as it would have caused extra stress and concern for parents. Power said it was the first time the school had been in lockdown other than for a practice, with the idea being to stay inside and secure their position as much as possible. “Students and staff take cover behind anything they can, so they are out of sight of any intruder, and they are also quiet,” Power said. The Times-Age talked to parents who rushed to the school and sat outside in cars after receiving text messages from their children. One woman was crying as she kept in touch with her two girls via text messages, while waiting with their grandfather. Her children had texted that there was a person walking up and down the school corridors with a weapon, thought to be an axe or screwdriver. Power said the school would email parents. One message it wanted to get across to them was that they should not come to school when it was in lockdown. “The worst thing they can do in a lockdown is arrive here,” she said. She said the school tried to minimise student use of cell phones during a lockdown, but it wasn’t easy when they were hiding behind desks and other furniture. “We ask that parents stay away and know that we will be working to keep their young people safe,” she said. She said the feedback from police was that the procedures the school followed were excellent, and a debrief would follow. Bysouth said multiple police units searched the area in and around the school for the offender to no avail. As of Wednesday night, no one had been arrested. Police describe the offender as a male Caucasian in his early to mid-20s, with short, blonde hair. He was wearing blue Canterbury track pants, a grey hooded sweatshirt and “loose” boots. He was last seen running south on Pownall St before jumping a fence into the Wairarapa College Farm facility.